Are you still sleeping on a mattress that you didn’t buy on the internet and get shipped to you in a box? You can fix that today with Amazon’s limited time Tuft & Needle sale. The concept here is basically the same as any other bed-in-a-box company. The mattress is made of foam, and thus can be vacuum sealed into a relatively small shipping box. You can try it for up to 100 days, and if you decide it’s not for you, they’ll come pick it up from your house and refund all of your money. If you’re currently using an inner spring mattress though, I think you’re going to be very, very happy. 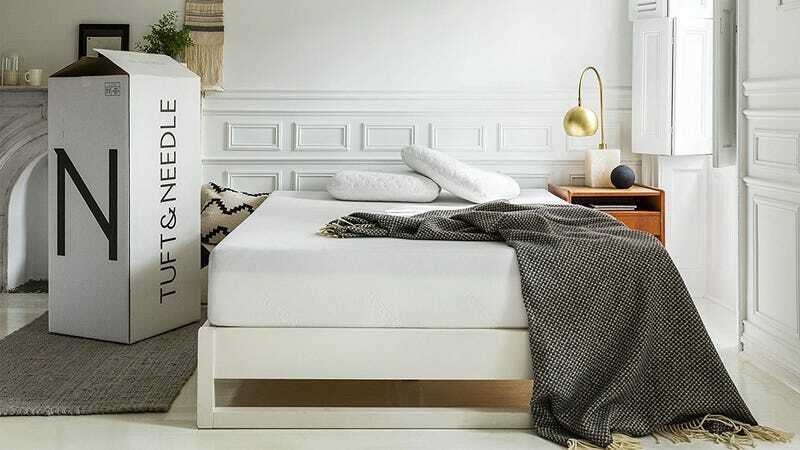 Tuft & Needle’s mattresses are pretty affordable at their regular MSRP, but Amazon’s taking about 20% off every size today, complete with Prime shipping and the aforementioned trial period. We’ve seen a few slightly cheaper one-day deals, but I wouldn’t lose sleep over that.